The campaign targets a large group of end users and includes a promotional website with a simple arcade game, in which lasers are used to color the Dalmatians that have lost their spots. CPM Banner Average CTR: 0,31%. Registered users: 11,480, conversion: 46%. Registrations after mail invite: 4,490, Multilevel efficiency: 39%. Total Games Played: 32,740, an average of 2.85 per registration. Posted in: Awarded projects, Promotional games, SELECTED ICYGEN PROJECTS. 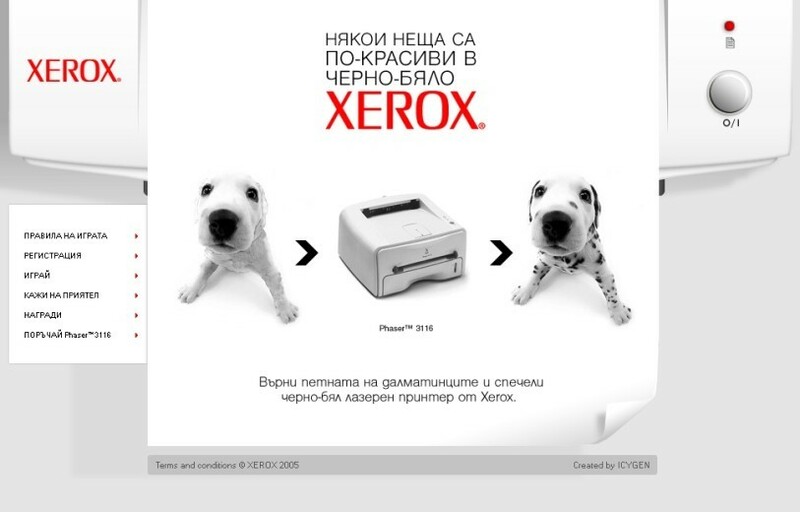 Tags: • XEROX.